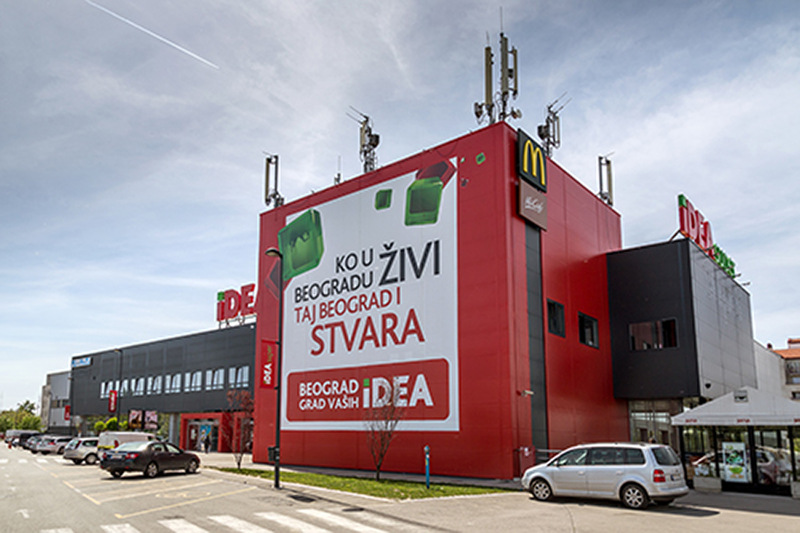 Immocentar II, built on 2 floors, with around 11.900 m2, contains hypermarket and mixed retail stores. It was built with the main purpose to serve as a supermarket destination that the local neighborhood was clearly lacking. Today Imocentar II has a IDEA supermarket, McDrive, exchange office, drogerie and pharmacy, hairdressing salon, telecommunication and consumer electronic offer, home décor program, a large shoes store and a café. The property boasts more than 170 parking spots, providing easy access for customers.